Product photography editing made easy and simple with BeArt Product Photography Enhancement Lightroom presets and brushes. This collection is your toolbox to enhance and retouch any issues that you may find in your product photos. In this collection you’ll find Lightroom presets and brushes for exposure fixes, color corrections, finishing touches and more. Now you can create amazing, clean product photos in just a few clicks. Our product presets for Lightroom can correct any color casts in your images, make your whites really white. You can fix white balance or sharpen the details. We developed these presets to give your products a professional finish. IT'S YOURS FOR JUST $29 (50% OFF) LIMITED TIME ONLY! 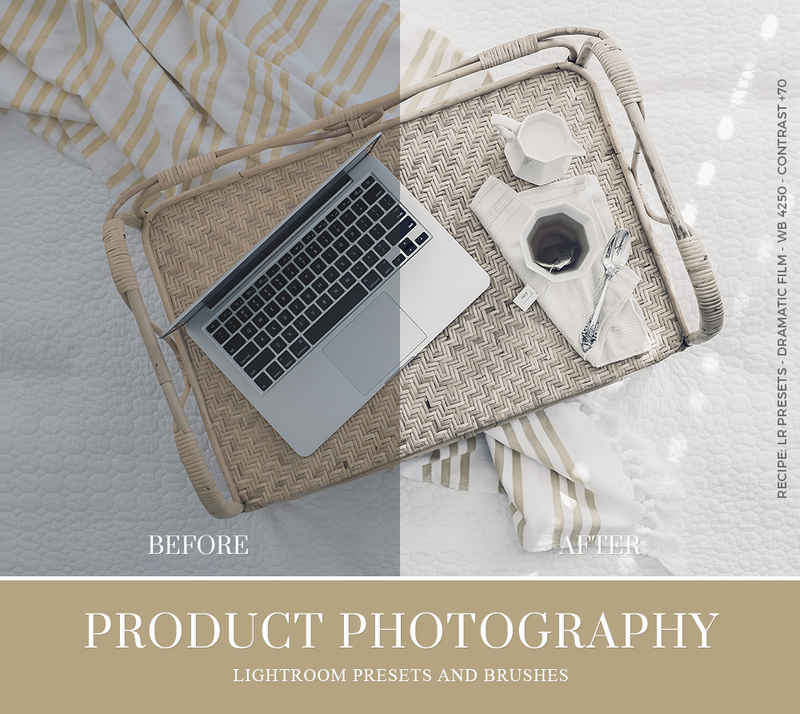 Revolutionize your toolbox with the Product Photography Enhancement Lightroom Collection of presets and brushes! Once you use this collection, there’s no going back to run-of-the-mill editing and enhancement tools. Stunning fine art photography is a few clicks away using any of our 79 high-powered creative presets and brushes. This collection of Lightroom presets and brushes are compatible with Adobe Lightroom 4 through 6 as well as Creative Cloud (CC) versions. We didn’t stop there. We design these presets and brushes to be fully compatible with JPG and RAW images. And, because we believe in simplicity, they are also very easy to install and use. There’s no need to waste time installing presets and brushes when you can instead enjoy using them. As usual, we have thought of everything including Mac and PC compatibility, fully adjustable settings, and free lifetime updates! Once you purchase the collection you will receive a link with all of the necessary details and tools, including instructions, needed to transform your photography. We make it not just possible, but simple to transform your photographs into professional-quality fine art images. Attract discerning clients with a better gallery and portfolio of work. As expert photographers and designers, we recognize that truly remarkable photography is the result of your talent. Your photography begins with a photo shoot and ends with editing. 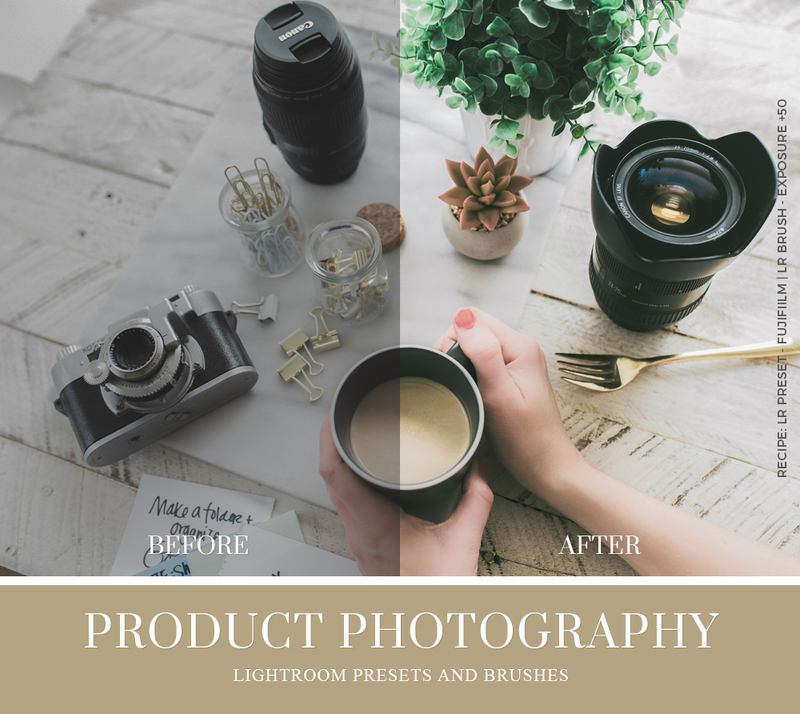 With that in mind, we designed the Product Photography Enhancement Lightroom Presets to make it easier than ever to make enhancements while editing without spending hours. Our presets are designed to streamline your workflow into an efficient and transformative process, but you are the driving force behind the creativity. You can apply your preset changes to one image or multiple images. You can save them in various formats and catalog them for straightforward searches in the future. What you can’t perfect while shooting, you can perfect in the studio thanks to our presets or brushes. Using this collection of presets, you can fix any issues with exposure, make detailed or broad color corrections, add other necessary adjustments and finish touches from blemish reduction to sharpened images. Where presets allow you to transform your images at a macro level, brushes allow you to make the necessary micro changes to transform an image to perfection. It’s the ideal option when you want to precise changes to specific parts or elements of an image and not the entire image. Using brushes, however, can be cumbersome and time-consuming. We have simplified their use for you with this comprehensive collection of 15 pre-designed brushes maximizing their potential. When you need to edit the same or similar genre of photos with similar needs, you can save significant time using these brushes. Simply, click and it will apply the changes. If you are ready to save time while enhancing the quality and appearance of your images with ease, this collection will make it possible.